BENSONHURST (WABC) -- Two NYPD officers credited with saving an infant's life will be honored for their actions Friday. 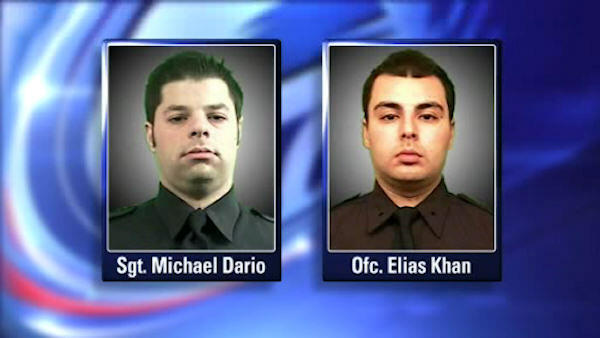 Brooklyn Borough President Eric Adams will name Sergeant Michael Dario and Officer Elias Kahn "heroes of the month." The officers used CPR after receiving a 911 call from a Bensonhurst mother whose 2-week-old son stopped breathing. Within 10 to 15 seconds, police say the baby began to breathe on his own, becoming responsive and crying. EMS responded and removed the child to Maimonides Hospital, where he was listed in stable condition. The baby's mother will also be at the event to thank the officers for their work.